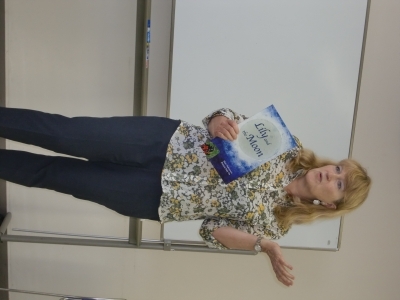 I gave a presentation for ETJ (English Teachers in Japan) Chiba, on 26th May 2013, about using picture books and storytelling to teach English to all age groups. The audience was really lively and it turned out to be quite an interactive workshop with everyone contributing their ideas and stories. First I read "Molly's Hair" and "Blue Mouse, Yellow Mouse" and showed lots of examples of activities that can be developed based on picture books for small children. 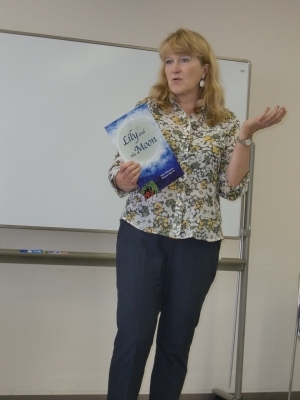 After that, I read "Lily and the Moon" for the first time as a book-reading since the book has only just been published. So it was hot off the press! 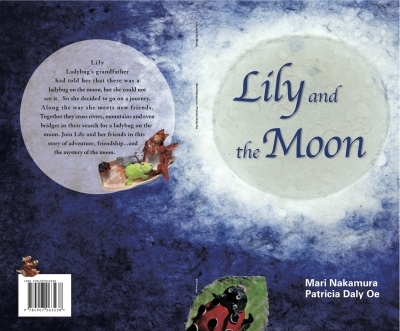 I co-authored "Lily and the Moon" with Mari Nakamura and also made all of the artwork so it was a big day for Mari and I to share the book with others. And Mari came all the way from Kanazawa to attend this workshop! So it was a very special day for me to have Mari participate as well. After reading the book we did some activities related to the book, such as searching for the creatures in the story and learning about the shapes people see in the moon in different countries in the world. Thank you so much ETJ Chiba for organizing this event. Hi! Congulaturations for publishing your latest works. It seems You are pretty active & creative at work reacently aren't you. whiIe as always,l'm listening slow bossa at small bar. I think I'd like to get it. Can we buy the books easily at every book store? Thank you so much, Lionel! Yes - you're right, I am enjoying an active life right now. I'm not sure which book shops Lily and the Moon will be in. I think in Maruzen-affiliated shops at least. Otherwise, englishbooks.jp is handling all of the online orders so you can order through their site.